The Mossers 166 guestrooms combine ingenious space efficiency with fine-tuned furnishings. Elegant yet minimalist in design, the 112 deluxe guestrooms with private baths and 54 standard accommodations fuse historical Victorian touches with sleek, in-room sophistication. Standard rooms feature a single sink, vanity and bathroom amenities guests share a stylishly appointed bathroom with granite showers and stainless steel fixtures. A limited number of extended-stay rooms are also available. Amenities include AM/FM stereos with CD players, alarm clocks, remote control TV, ceiling fan, two-line phones with data port and voicemail. Iron with board, hair dryer and cotton robes are also included in each room. To help ensure a restful nights sleep, double/double paned windows to ensure a restful sleep. For your convenience, the hotel now offers Wi-Fi ($9.95 per day) and DSL ($9.95 per day) connections in every room, as well as the lobby and restaurant. The Mossers signature restaurant, Annabelles Bar and Bistro, serves classic Bay Area cuisine. 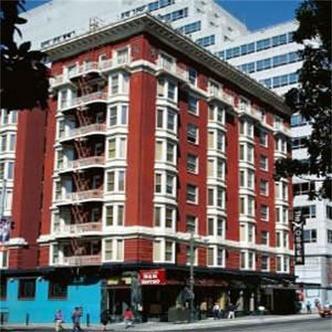 The Mosser is San Franciscos only hotel to feature a state-of-the-art recording studio.